USDA Homes offer buyers the opportunity to purchase and own their own home without “No Money Down”. The problem for many buyers is not knowing where to find these type of properties. Contacting a Texas REALTOR® should be your first choice. Your REALTOR® can be a very valuable resource to help you find pre-owned properties and even new construction properties too. Don’t let not having money for a down payment hinder your decision to purchase your own home. Buying a USDA Home allows buyers to get into their first home with little or no money out of pocket. However, buyers do need to be prepared to pay a nominal fee for earnest money, and other fees that may include closing costs, pre-paid items, home inspections, surveys, and appraisals. The good news for those seeking new construction properties is that the new home builder will often offer incentives to cover many of these out of pocket expenses. USDA loans are mortgages backed the U.S. Department of Agriculture as part of its USDA Rural Development Guaranteed Housing Loan program. USDA loans are available to home buyers with below-average incomes, offer 100% financing with reduced mortgage insurance premiums, and feature below-market mortgage rates. Rural development is the process of improving the quality of life and economic well-being of people living in relatively isolated or sparsely populated areas. Rural development has traditionally been centered on the exploitation of land-intensive natural resources such as agriculture and forestry. Basically, choosing to live in the country and outside the city limits, which many parents prefer to raised their families away from the hustle and bustle of the city where gangs and drugs are the norm for many neighborhoods. Of course there are eligibility requirements for all borrowers, and these vary from state to state, and even from county to county. In the state of Texas, Bexar County does have some available rural development properties, but the majority are in counties that surround Bexar County like Guadalupe, Wilson, Medina, Comal, and Atascosa. Go to the USDA site to determine if the property is located in a USDA approved area. 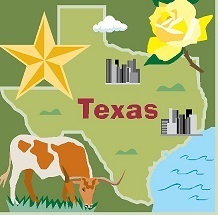 Your Texas REALTOR® knows all the new construction home builders that build in USDA approved areas. Plus, he can even assist you in finding pre-owned properties that are USDA eligible too. So why not contact Jerry today at 210-789-4216, and let him assist you in finding your first or next home. Visit my website at Homes For Sale In and Around San Antonio for more information.